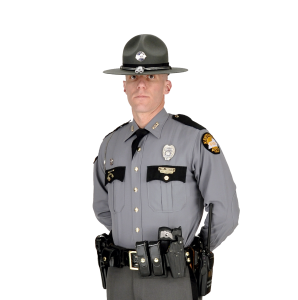 Hazard, Ky. (November 1, 2017) – Troopers with Kentucky State Police Post 13 in Hazard will be conducting Traffic Safety Checkpoints and Moving Patrols throughout the Post 13 area during the month of November 2017. PIPPA PASSES, Ky. (November 6, 2017) – Details have been released from the incident in which a Knott County man died last Wednesday evening after an altercation with police officers. Long John Silver’s in Whitesburg and Hazard is hosting their 3rd annual “Dine To Donate” fundraiser for KSP Post 13’s Shop With a Trooper program. HAZARD, KY.(November 28, 2017) – A crash in Perry County late Monday evening has resulted in the death of two men. Frankfort, Ky. Kentucky State Police Post 12, which provides police coverage for Anderson, Fayette, Franklin, Scott, Shelby, Spencer and Woodford counties, will be conducting periodic traffic safety checkpoints at locations approved by the Kentucky State Police Policy and Procedures Manual. Lexington, Ky. (November16, 2017) — Kentucky State Police Detectives from Post 6, Dry Ridge, and Post 12, Frankfort worked in conjunction with the ATF, Boone County Sheriff’s Office and Lexington Metro to serve a search warrant on a residence in Fayette County. London, Ky. (November 03, 2017) The Kentucky State Police, Post 11, London, which provides coverage for Clay, Laurel, McCreary, Pulaski, Rockcastle, Wayne and Whitley counties, will be conducting periodic traffic safety checkpoints at locations approved by the Kentucky State Police Policy and Procedures Manual. Mount Vernon, Ky. (November 07, 2017) –On Tuesday, November 07, 2017 at approximately 7:16 AM, Kentucky State Police Post 11, London received a call of a missing person in the Brodhead community of Rockcastle County. London, Ky. ( November 22, 2017) – Kentucky State Police Post 11, London kicked off their eighth annual Cram the Cruiser food drive on Wednesday, November 22, 2017. Harlan, Ky. The Kentucky State Police, Post 10, Harlan, which provides coverage for Harlan, Bell and Knox counties, will be conducting periodic traffic safety checkpoints at locations approved by the Kentucky State Police Policy and Procedures Manual.